The company was founded by Prof. Alfred Benninghoven, Dr. Ewald Niehuis and Mr. Thomas Heller in 1989 to commercialise the original research carried out by Prof. Benninghoven and his team at the University of Münster in Germany from the early 80's. Since the original conception, the contribution of Münster by its academics and entrepreneurs to the development and spread of the TOF-SIMS technique has been significant and unceasing. Münster is certainly the place to visit if you want to know the latest about TOF-SIMS. 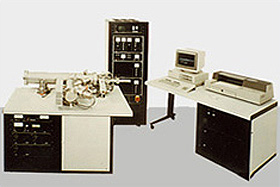 TOF-SIMS has become a standard requirement for a surface analysis laboratory, and has overtaken other longer established surface techniques, both in the performance and the number of units now being sold. 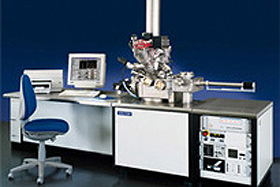 IONTOF's engineers are not solely involved in developing equipment; basic research is also carried out. Consequently IONTOF is part of the national German competence centre "Nanoanalytics". The IONTOF premises are in a science park close to the University, the Technologiehof, the Centre for Nanotechnology (CeNTech) and the Max-Planck Institute for Cell Biology, which is practical for collaboration and provides a stimulating working environment. The involvement in nanoscience projects enables us to understand the instrumental requirements for nanoscience and design them into our instruments. IONTOF is also an important partner in many other national and international surface science projects. IONTOF continues to make considerable development effort. Its policy to build the most innovative ion beam technology for surface science, and the continued investment in the development of our instruments will produce new instruments with even better performance. The most recent example is the innovative Qtac product line for high sensitivity LEIS, which was developed by IONTOF in collaboration with the leading group of Prof. Brongersma at Calipso BV. 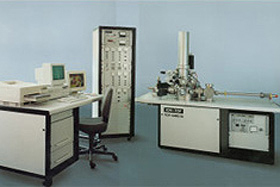 IONTOF works in close co-operation with its sister company TASCON, set up to provide analytical services, and provide demonstration and application facilities. The co-operation with TASCONs' application experts enables us to investigate new applications for the TOF-SIMS technique to expand its use even further.